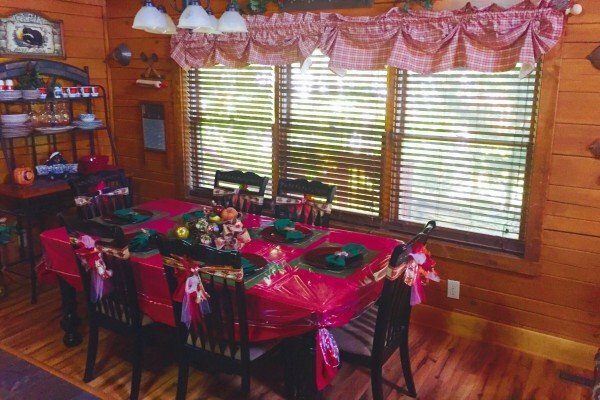 PIGEON FORGE PLEASURES is an apt name for a cabin just half of a mile from the parkway in the very heart of Pigeon Forge near traffic light 7. 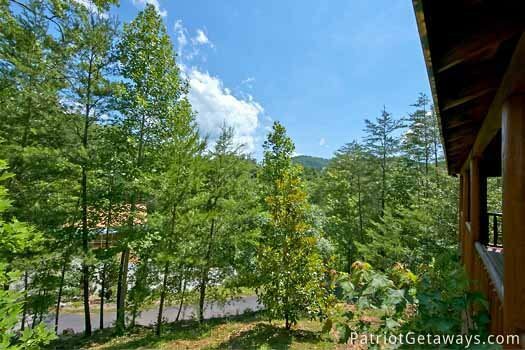 Nestled in a small log cabin resort on a quiet wooded hillside, you might think that you were miles away, but you still get the pleasure of easy access to all the city has to offer. 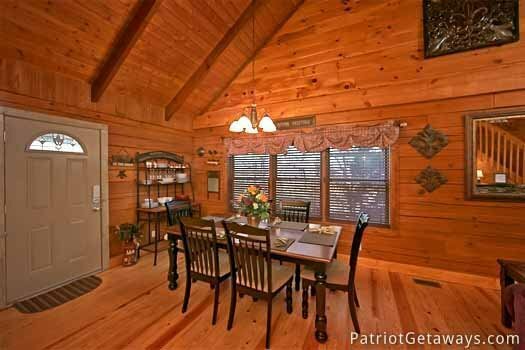 This real hand hewn cabin is furnished for mountain living & luxuriously decorated. 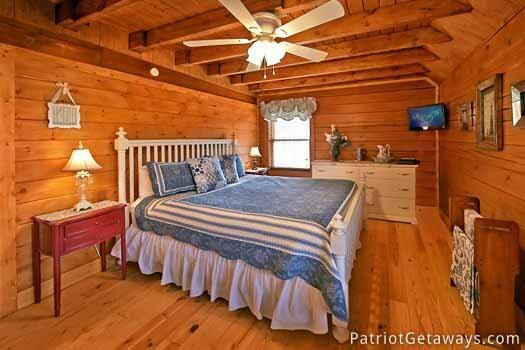 The 3 KING BEDROOMS and extra sofa bed make comfortable accommodations for up to 8 guests. 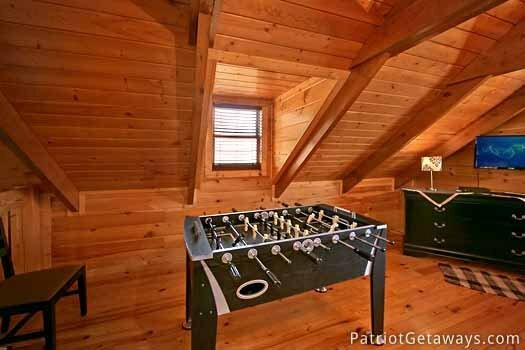 You'll enjoy the game area in the lofted bedroom with flat screen TV and foosball in a room decorated with a New Orleans flare adorned with street lights and wrought iron accents. 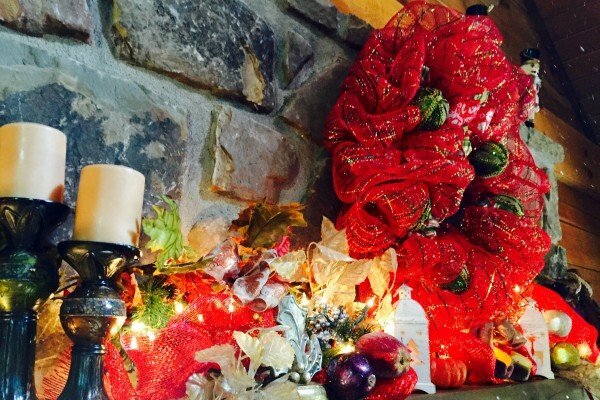 Kick your feet up in front of the real stone fireplace, soak away your cares in the indoor jacuzzi & outdoor hot tub, or rock away the day on one of the long covered porches that extend the entire length of the home. 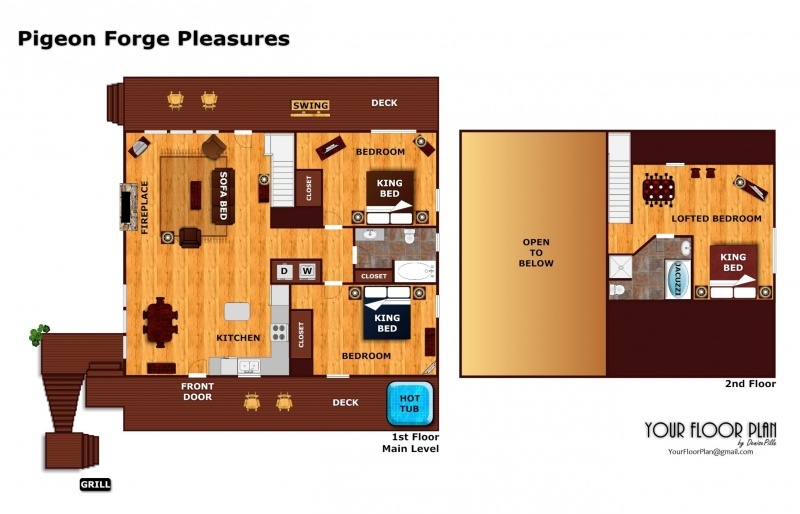 Whatever your plans you'll want to stay at PIGEON FORGE PLEASURES. 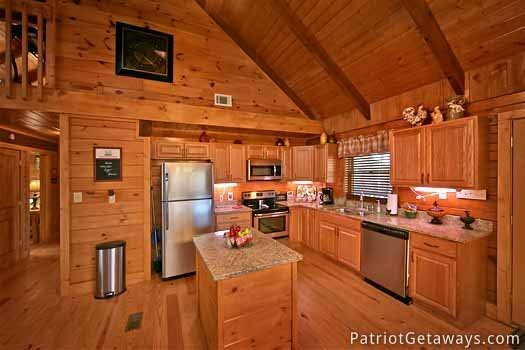 Our cabin was so clean, had up to date appliances and TVs even though we didn't spend much time inside. There are a few other cabins around but it was serene and quiet the entire time we stayed. 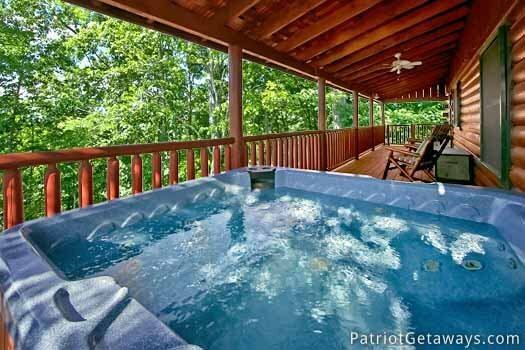 The hot tub was clean and functioned well. 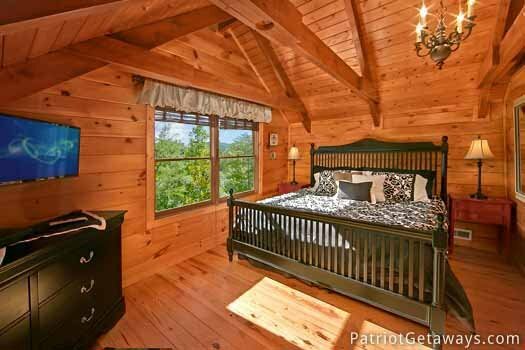 We will definitelybook this same cabin the next time we come back to Pigeon Forge! We enjoyed our family vacation very much. 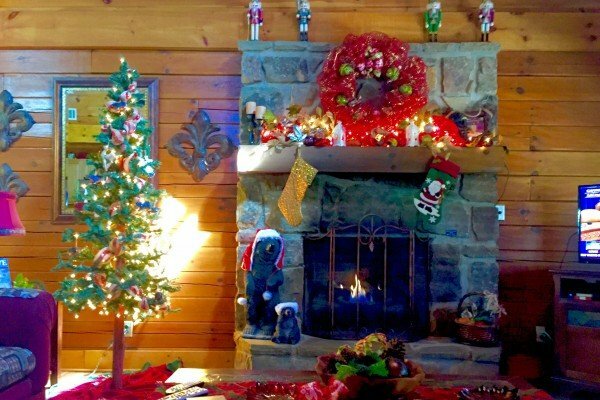 The cabin was perfect for us. Liked the closeness to things. It felt like home. 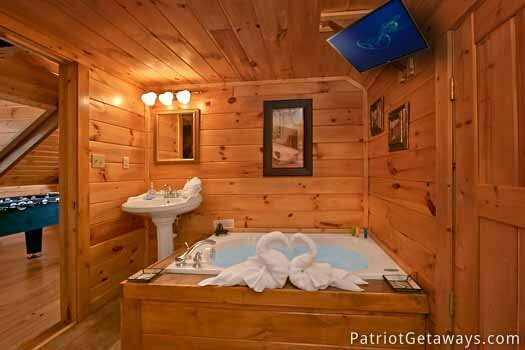 We would rent it again and we will use American Patriot Getaways again also. 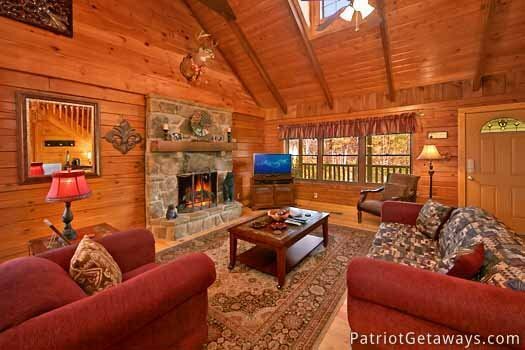 We had a fabulous time at this cabin. You guys are always great, easy to deal with, friendly and very attentive to my request. I always call and tell you what I need for that particular trip and you always recommend the best fit. 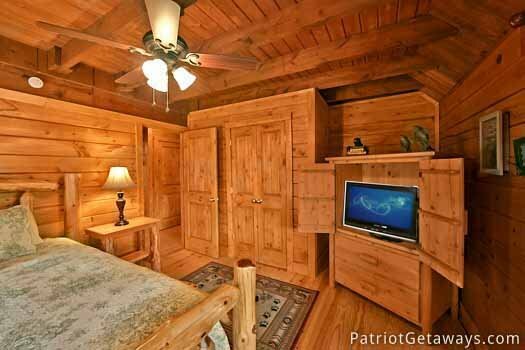 I use your company for allmy Gatlinburg/Pigeon Forge getaways. Keep up the good work!!!! 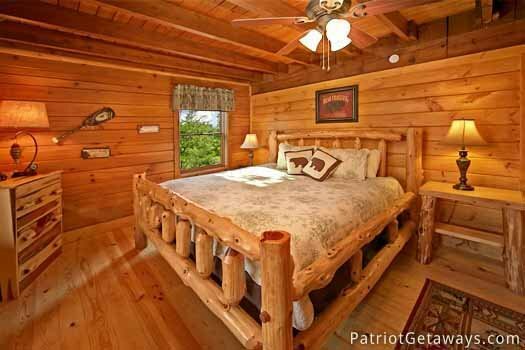 Wonderful cabin. Very comfortable. 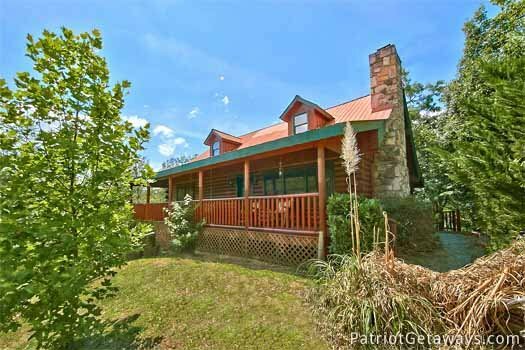 Very convenient to Pigeon Forge. 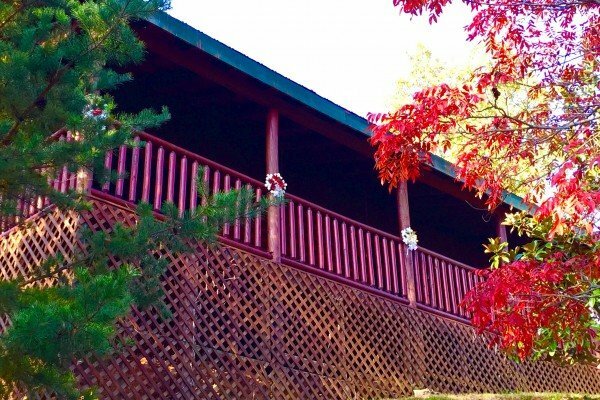 The cabin was beautiful, staff was very friendly and helpful and we had a great time. Hope to be back soon! 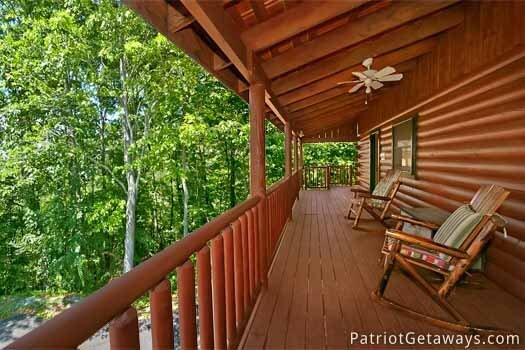 Love the cabin, it was close to everything.Perfect location.We actually met the owner of the cabin she was so nice. Easy to locate the cabin. Right on the main parkway in pigeon forge. Good location. 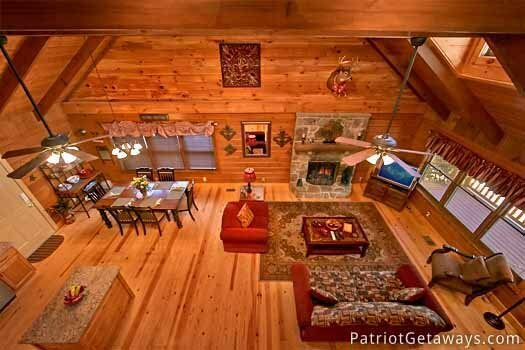 Outstanding cabin, very open and very nice. Was everything I was looking for. Will stay with APG again!! 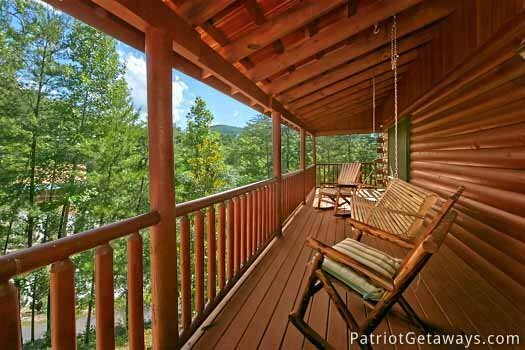 I love Patriot Getaway. 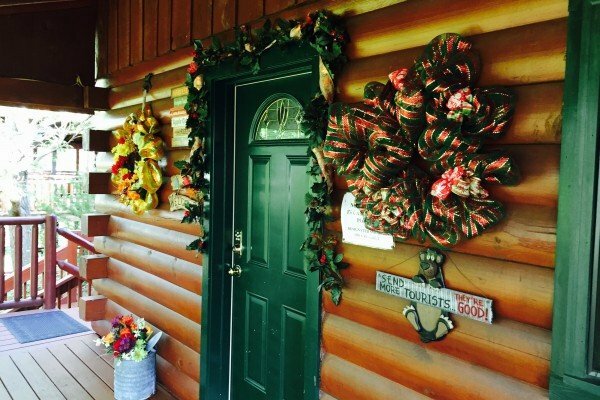 My family and I have stayed in several of your cabins and we have always been very pleased with everything. I look forward to staying in many more. Thanks for being so friendly and helpful. 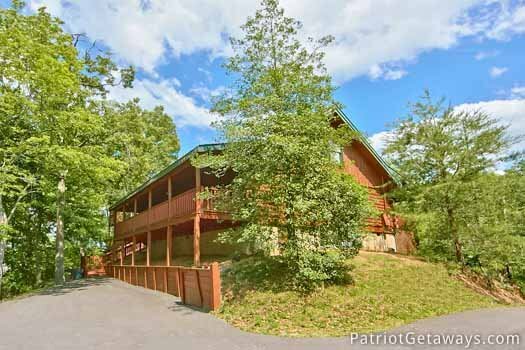 The pictures do not do the cabin justice. It was a wonderful place to stay and I loved it being so close to everything but yet in the mountains. I wish there had been a better driveway space to turn into and easier mapping to find the cabin. Everythingelse was wonderful.